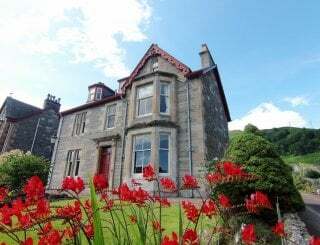 Lagganmore House, Oban, Argyll and Bute, Scotland, sleeps 10-13 in 5 bedrooms. 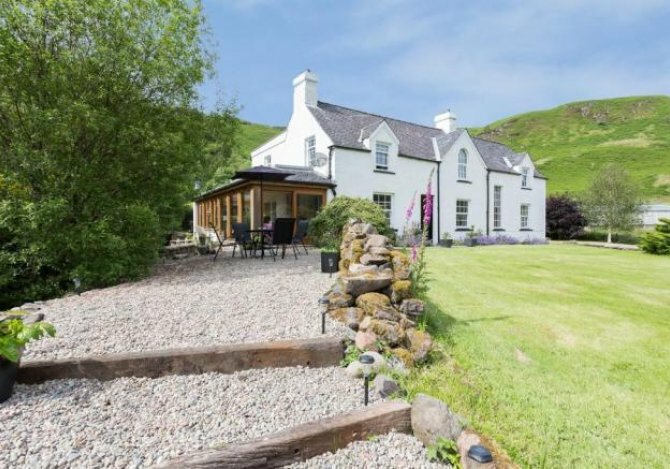 Lagganmore House is a beautiful former farmhouse in a stunning rural glen on the west coast of Scotland. 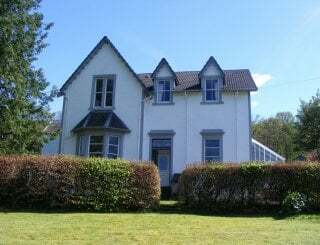 Situated 10 miles south of Oban, gateway to the isles, Lagganmore has everything and more for a wonderful holiday for your large family group or get together with friends, for that special occasion long weekend or a relaxing family break with plenty space for your group and their four legged friends should you wish to bring your dogs with you. 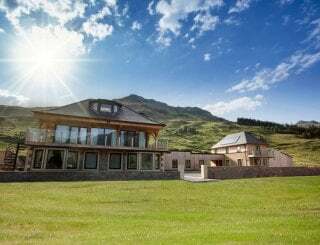 With 5 bedrooms offering a choice of twin, double, triple and family rooms, Lagganmore also has a beautiful lounge big enough to accommodate your whole group with an open fire, music centre and plenty space for relaxing, playing games and enjoying each others company. The music room, with a piano, selection of small instruments and variety of seating, is a ideal space for letting your creative side out. A smaller TV room with free sat TV box, DVD player, selection of DVDs, games and books is an additional space for your party to enjoy and relax in. Lagganmore house has a bespoke Douglas fir conservatory adjoining the kitchen with ample space for everyone to eat together and feel a part of the beautiful surrounding countryside with patio door access to the patio area. A well equipped kitchen with oil fuelled AGA, electric fan oven and additional counter top hob provide plenty of cooking space for your group to enjoy a home cooked meal together. 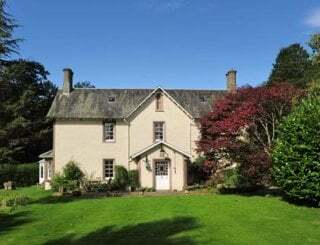 Lagganmore House is situated in a half acre of garden, laid mainly to lawn with a seated patio area, childrens' play house and dog kennel and run. 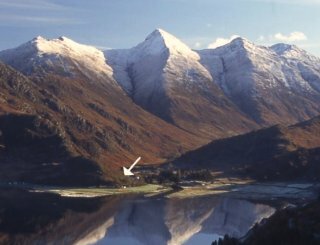 You can walk direct from the house up the Glen to Loch Scammadale and beyond, or utilise the house fishing permit. 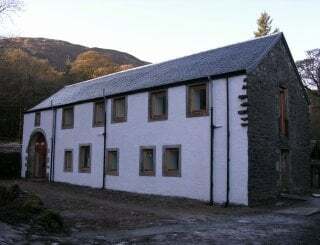 Lagganmore has a drying area and herb garden that guests are welcome to use and also a carport with plenty of storage for bikes or fishing gear, all facilities that you can use to help enhance your stay in this wonderful area full of hill walking, outdoor pursuits and sightseeing opportunities. 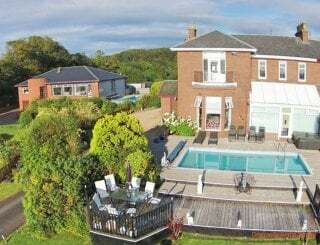 A well equipped kitchen with oil fired AGA, electric fan oven, additional hotplates, microwave, larder fridge and chest freezer and dishwasher. Set in a beautiful conservatory with 2 large dining tables and seating for 14. A substantial range of tableware to make any celebration meal special. Lots of choice: a large comfortable lounge with open fire and seating for 14, a smaller TV room with a variety of seating and a music room with piano. Free sat TV and DVD player in TV room, blue tooth music centre with CD player in lounge. Open fire in lounge and double sided wood burning stove between TV room and dining room. Logs/kindling supplied. Oil fired central heating throughout. 2 twin bedrooms, 1 double bedroom, 1 triple en suite (1 kingsize/1 single), family room with double bed and bunk bed - additional bed also available. Egyptian cotton bed linen provided, also Egyptian cotton bath and hand towels. Tea and hand towels for communal bathrooms provided free of charge. 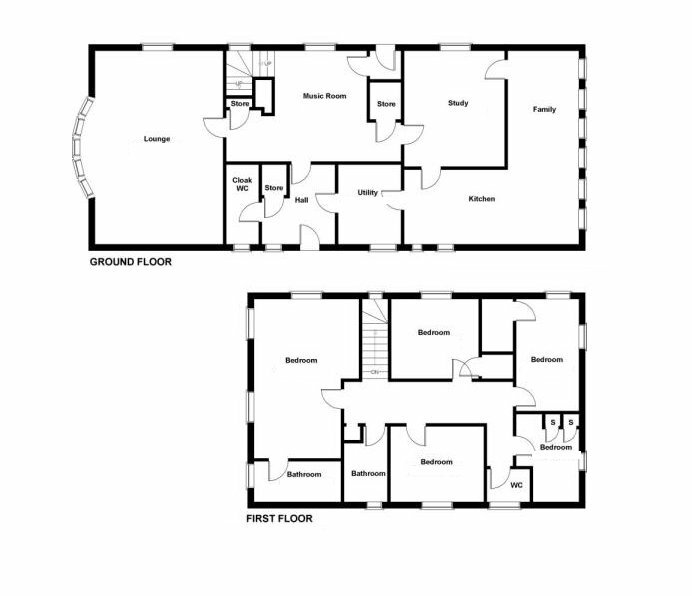 En suite bathroom with triple room, family bathroom with bathtub and over-bath shower, shower room with walk in shower. Downstairs cloakroom. Access to Lagganmore is by 1 step into front and back door. All bedrooms are upstairs and all bathing/shower facilities are upstairs also. 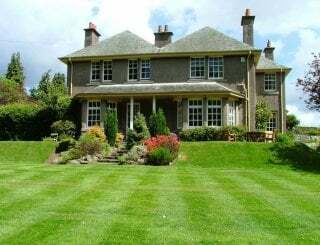 Lagganmore House has a high chair, travel cot, changing mat and children's bathroom step that can be made available by prior arrangement. 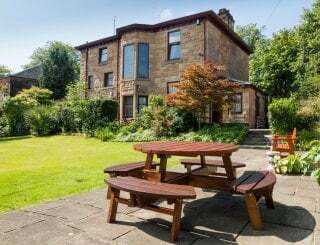 A half acre of garden to the front of the house, garden seating available in patio area. Please be aware there is a stream flowing through the garden. A car port to the back of the house and hard standing to the side of the house for car parking. We ask that smoking is restricted to the outside of Lagganmore House. 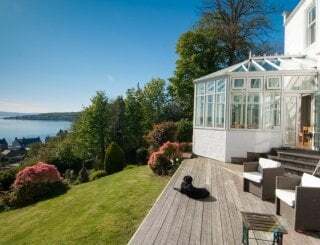 Lagganmore House can accommodate a couple of dogs. Outside kennel and dog run area and a back hallway suitable for dogs, small additional charge. Situated approximately 1 mile into Glen Scammadale, a secluded valley 5 miles long with freshwater loch. Scammadale is 10 miles south of Oban on the A816. Oban is a bustling town with many amenities, ferry port. With supermarkets, restaurants, pubs and cafes, Oban has many facilities to enhance your holiday - cinema, gift shops, leisure centre, beach. 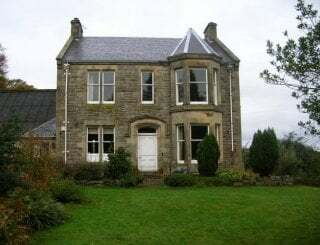 The nearest large supermarket is in Oban with smaller village shops available in Kilmelford - approximately 8 miles by car, or Balvicar, Isle of Seil - approximately 11 miles by car. The Tigh na Truish pub at Clachan Seil is 9 miles away with a large selection of pubs and restaurants in Oban, 10 miles away. 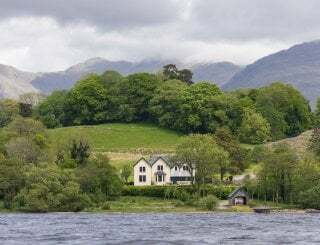 The Loch Melfort Hotel in Arduaine is approximately 12 miles away. All bookings processed through the Book now facility on our website. We accommodate changeovers on Fridays and Mondays. Please do not hesitate to get in touch if you are considering a booking outwith these changeover dates. All bookings subject to our Terms and Conditions. A railway station in Oban has links to Glasgow and Fort William. Oban can be accessed from the Scammadale road end by a service bus which runs several times a day. Local and national bus services run from Oban daily. Oban airport in Connel, north of Oban is a small council run airport. Glasgow airport, the closest international airport, is a 2.5 hour car journey away with public transport options available.